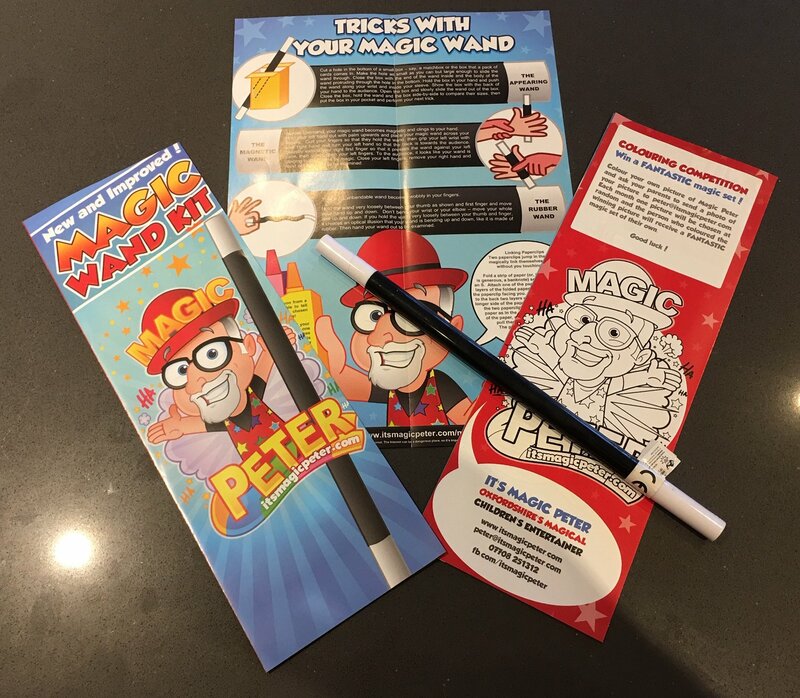 As well as delivering amazing magic shows and energetic party games, Magic Peter can supply a number of optional extras to put the finishing touches to your party. 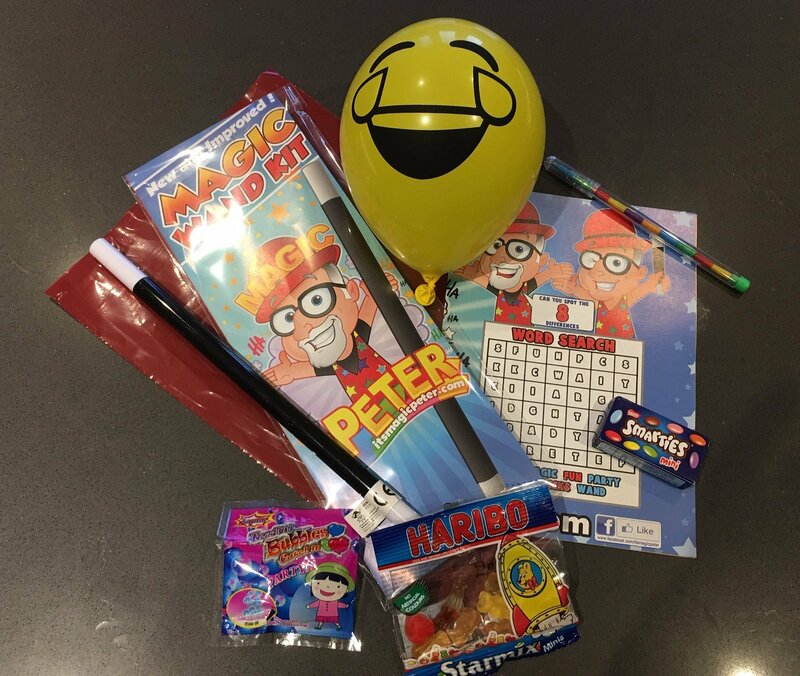 Magic Peter Party Bags are included in the All-Inclusive Two-Hour Birthday Party Package, but they can be added to any party format. And some of the ‘magic’ touchable bubbles that I use at the start of every party. That’s SEVEN items for just £2.50, and you only pay for the bags you use, so you don’t pay for any bags left over at the end of the party, something that isn’t possible when you put the bags together yourself. Alternatively, you can just buy Magic Peter Wand Kits and put them in your own bags. The Wand Kit is priced at £1.00 – that’s just half the price I charge for them at public events – and again, you only pay for those you use. Perhaps the available time means you can only accommodate a magic show, but you would like to give each child a balloon model to take home after the party. 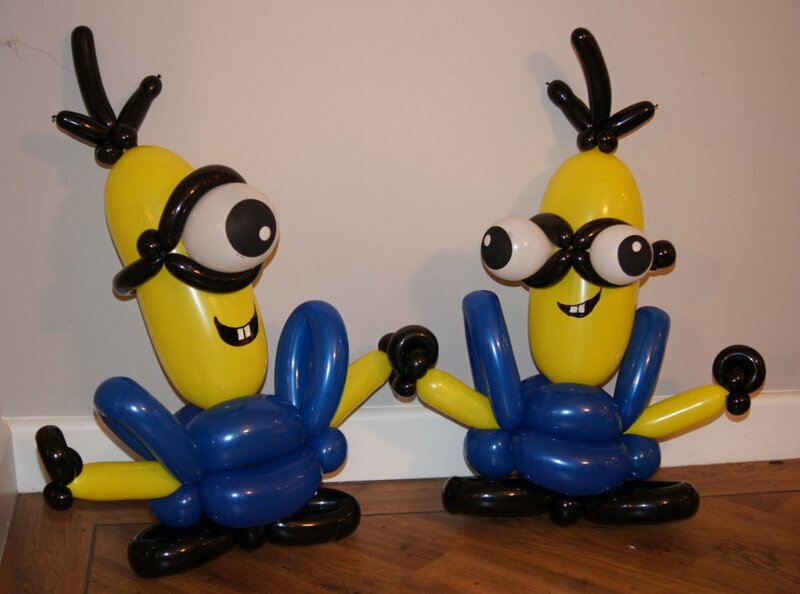 Or maybe a show-stopping balloon model for the birthday boy or girl such as these minions above. That can be arranged too. Just ask for details. Give Peter a call or drop him an email to discuss other ways he can take the stress out of your party. In fact, if you have any particular ideas that Peter might be able to help with, something that would make the party a bigger, better event for the children or that would make your job of running the party easier, give him a call on 07708 251312 or send an email to have a chat about how he can help.